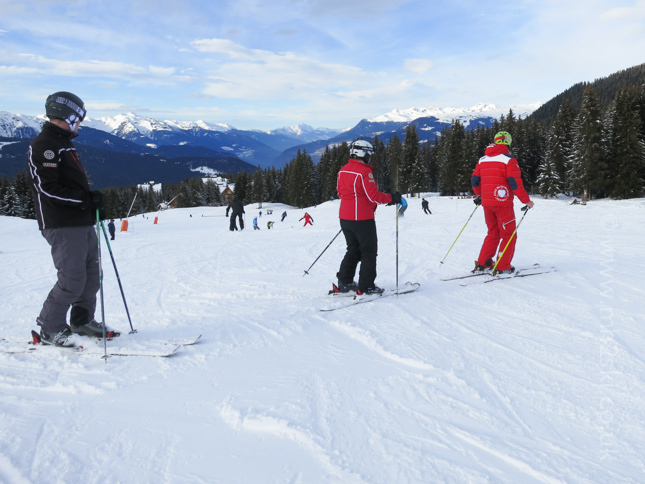 Ever wondered what Meribel ski instructors do on their days off? Sometimes they go for a ski, other times chores take priority. You know what I mean, weekly shop, washing, cleaning, even personal grooming! 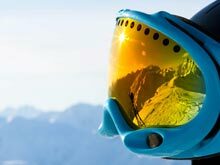 But what about about ski personal grooming, ie ski servicing? Last Friday evening Michael phoned me and asked if I was going to set up my ski servicing kit on the balcony the following morning? Of course was the answer, so we organised a date. The very next morning after a well deserved lie in, cleaning and washing commenced, strong coffee was brewed and drunk, and the sun appeared on my balcony. Before I knew it, Michael knocked on my door with skis and toolbox in hand. It was time to 'spring' into action! We scraped and filed away, chewed the fat talking about each other's week. We compared teaching notes, made up gossip, and in Michael's case took a moment thinking about lunch stops and menus. It was fun catching up, before heading back to other less-glamorous chores. However, I've got to be honest, I'm not totally convinced how regular these impromptu sessions will become. I couldn't help but notice how old a couple of packs of ski wax of Michael's were, how shall I put this, the price was a bit of a give away. Thirty six French francs! Yes people, thirty six francs. France switched from francs to euros on 1 January 2002! 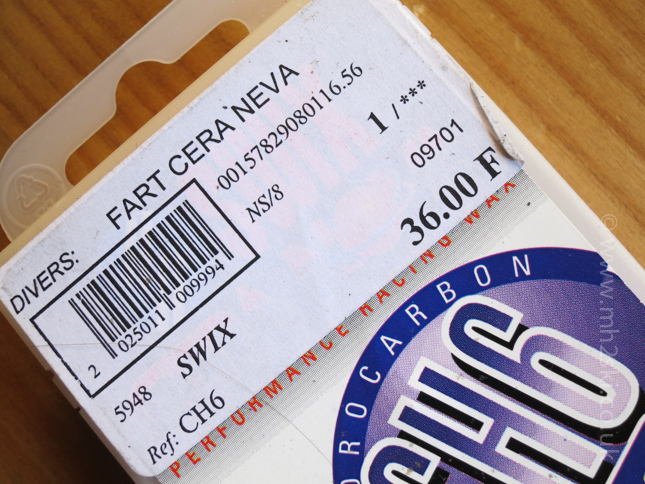 Just so you know, 'fart' translates as wax !?! 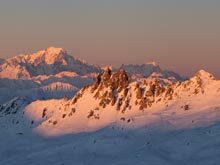 Anyhow, what else has been happening here in Meribel this week. 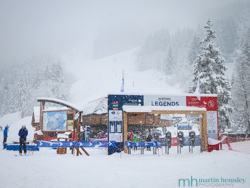 For a start we have been on the receiving end of a few snow storms that has further helped the skiing conditions. The resort has been very quiet with visitors the last few weeks, however numbers on the mountain are gradually increasing. 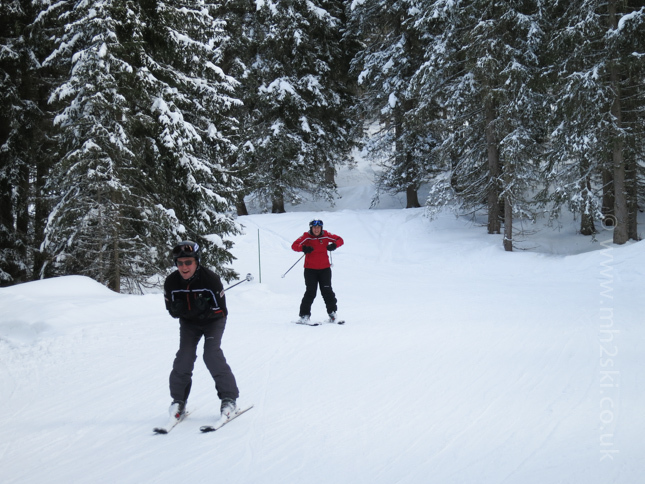 I had the pleasure of skiing with Richard and Cheryl earlier this week. 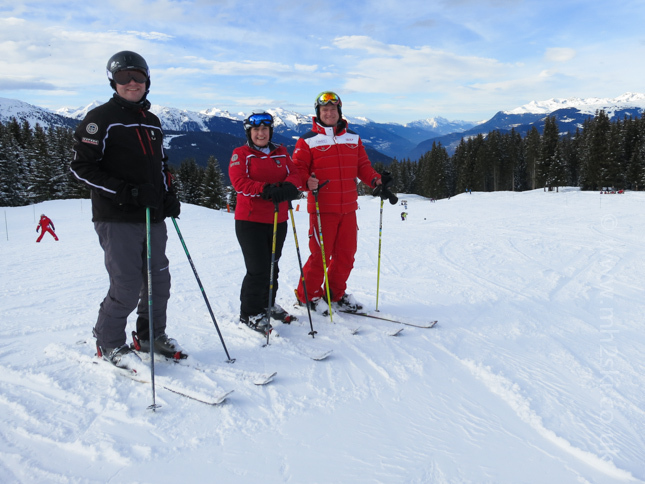 They first came to Meribel last winter as complete beginners, and booked me for their first day back on skis on their second ever weeks ski holiday. What a fantastic day we had. You should have seen their smiles all day long, completely infectious. They were so pleased to be back on skis again. 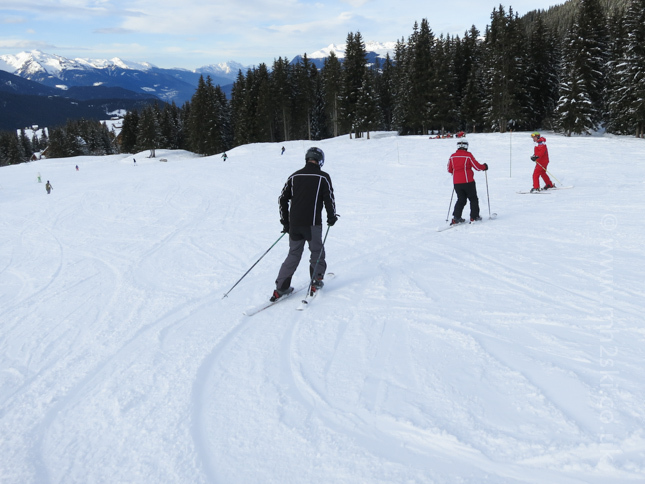 We took full advantage of skiing around on the different altiport green pistes, double checking knowledge of technique, and practising those skills. However I was easliy distracted by Cheryl's constant shrieks of delight. In the afternoon we bumped into my wife Harriet on the altiport piste. We all had a quick chat together, Harriet grabbed Canon Junior, my small compact camera. Then Richard, Cheryl and myself skied off trying to give a perfect demonstration of snow plough skiing in a very serious manner. It didn't take long for Cheryl to wobble, and start giggling again, so our demonstartion soon turned into an un-synchronised display. Oh well, all good intentions and all that. Don't forget you can click on each image to enlarge for a closer look. It snowed again yesterday about 15 cms, it is forecast to thump down again with snow tomorrow, and also again at the weekend. 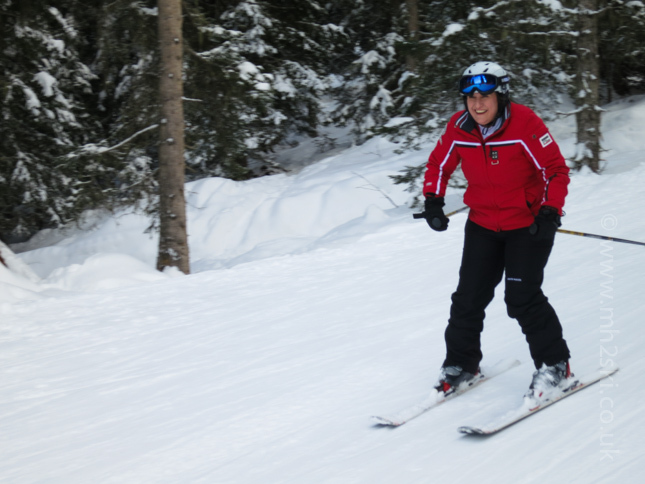 If you enjoyed this blog post, you might be interested in an article I wrote at the beginning of the ski season when Michael and I first skied together this winter, click here. Please feel free to share away on Facebook, Twitter and Goggle+ by clicking on the social media icons. Or leave a comment below, it is simple to do, we always love to hear from you. Live with passion everyone. Martin.